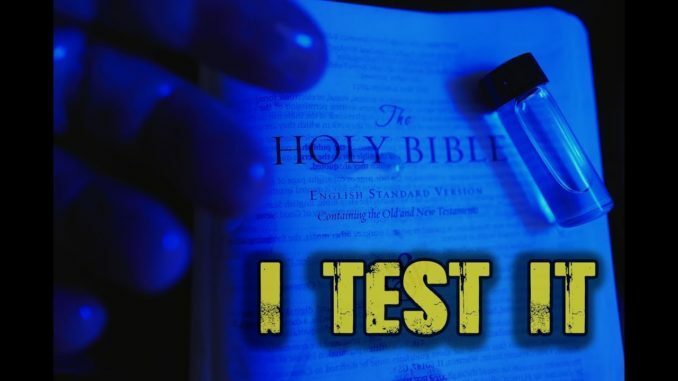 HomeClass A EVPI TEST the OIL that Leaks from THIS BIBLE… You will not believe what happens. 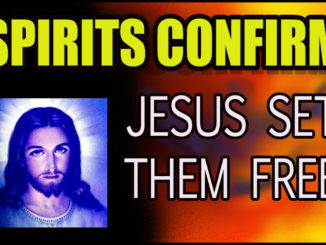 March 25, 2019 Class A EVP, Connection, Digital Recorder, DR60, E.V.P., Evidence, Experiment, INCREDIBLE, Miracle, News, Spirit Box, Spirit Communication Comments Off on I TEST the OIL that Leaks from THIS BIBLE… You will not believe what happens. So my latest video is pretty incredible. There is no need for me to write a ton of text here as the video below goes over everything in detail. But it is based on the claims that a Bible in Dalton GA is leaking holy oil by the gallons. I received a vial of this oil by the way of interesting circumstances (all detailed in the video below) and then test it by asking the spirits about it. Something else happens that shocked me and may shock you as well. Is this a miracle or is there an explanation? 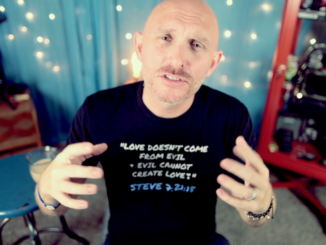 I haven’t found an explanation as of yet, and again, if I look at the circumstances as to how I received this oil, along with what the spirits said about it…well, see for yourself…. 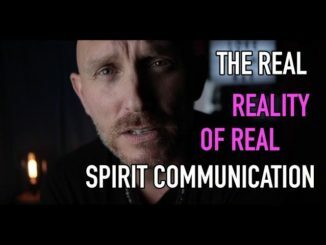 The REAL reality of my Spirit Research. To those who do not believe in what I do. July 17, 2018 Commentary, Connection, DR60, E.V.P., Evidence, Manifestation, SOULSPEAKER, Uncategorized Comments Off on The REAL reality of my Spirit Research. To those who do not believe in what I do.